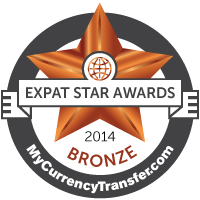 Bienvenue as they say in France, to the 2014 Expat Star Awards, sponsored by MyCurrencyTransfer.com.Our ‘Top 10 Websites And Blogs For Expats In France’ award, recognises, rewards and celebrates websites and blogs that focus on expats in France. We’re looking for the creme dela creme, the magnifique and the truly tres bien. 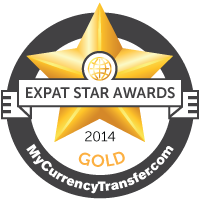 Could you be this year’s Gold Award Winner? Congratulations to the winner of our France category, The Paris Blog. If you are thinking about emigrating to Paris anytime soon, make sure you dig deep within the archives of this fascinating blog. From well known Parisian celebrities to street food, entertainment and language classes, there is so much here that will prepare you perfectly for your new life in France. And if you are already an expat immersed in Paris life, there is sure to be something here to surprise and interest you. This blog is updated daily so why not make a visit to The Paris Blog your new daily ritual? Our second place award goes to The Good Life France. This wonderful website is packed to the gills with interesting information for expats and visitors alike. Whether you are looking for somewhere to go, a holiday or things to do, you’ll find it here. From Toulon to Paris and everything in between, The Good Life France is a source of inspiration for many expats looking to integrate fully into the French way of life. We even found a blog post entitled “Do The French Hate The English?” which made for some interesting reading. They don’t by the way, but you’ll just have to find out why for yourself. If you are looking for a window into European news and life, The Local is the largest news network in Europe. The French edition of this popular daily news website is no exception and brings readers an entertaining mix of news, views, business information and features. Need more European news? The Local isn’t just a French website. You’ll find English, German and Italian editions, amongst others. Well done for making third place! Our first runner up award goes to this popular magazine blog and the many volunteer writers working hard behind the scenes. Designed to cater for the needs and desires of professional expats living in Lyon-Rhône-Alpes, this blog holds plenty of news, commentary, information and critic to keep you busy for hours. Want to know what it’s like to live in the Dordogne? Looking for work in Paris? France Angloinfo is a wonderful resource that drills deep down into local life in many French towns and cities. Their site is easy to navigate and offers plenty of useful and up to date information about adapting to French life and finding your way around. From healthcare to moving to France with your family, you’ll find a wealth of information here. If you are looking for an interesting and often humourous read with your croissant and coffee, Rue Rude delivers. Written by an American living in Paris, this is a refreshing take on the anomalies of French life that often looks at the differences between US and French culture in a witty and fun way. We loved the post about French punctuation and the “just for fun” snippets in the sidebar. As the name suggests, American Expat In France is written by an American expat in France. No surprises there, but this blog is quite surprising in that it contains a huge amount of useful information especially designed to help Americans and other expats adjust to life in France. There is a good mix of informative posts here covering a wide range of topics including healthcare, business and expat-related news stories. 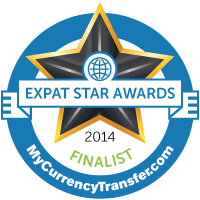 Expats Paris have a dream – to be the largest community of Parisian expats online today. They are doing a fairly good job and with over 5000 members and scores of new members joining every day, they may just reach their goal. If you are looking for fabulous things to do in the capital, a little guidance on common expat problems or you’ve got a few minutes to kill on the Metro, Expats Pairs is a great read. Whether you are looking to buy property in France or you need more information French regions, frenchentree.com is the complete online solution. Featuring a huge property database and lots of in-depth advice about buying property, living in France or finding the perfect French holiday destination, frenchentree.com is the site to bookmark. If you are looking for a French property with character, Lost In France can help you. This fully licensed, bilingual property agency features a huge network of local property agents on their website and can hook you up with beautiful properties throughout France. Whether you are looking for a period property off the beaten track or an apartment in one of the key tourist areas, you have a good chance of finding it here. 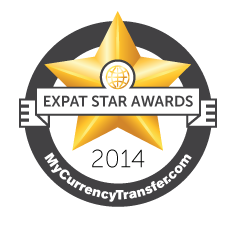 All our winners and finalists are invited to upload their badges of honour from the main Expat Star Awards 2014 page. Tell the world how good you really are! So, what do you think of our top 10? All your comments, thoughts and tips are welcome!